abstract: Surface Weather, Signal Service and Weather Bureau (SWSSWB) Records primarily created by the United States Army Signal Service from 1819 until the paid and voluntary stations transitioned to the Weather Bureau in the early 1890s. The collection also includes publications of the Signal Service and independent observations collected by the Signal Service during the same time period. This collection differs from the Forts collection in that records were collated by NOAA rather than the National Archives. 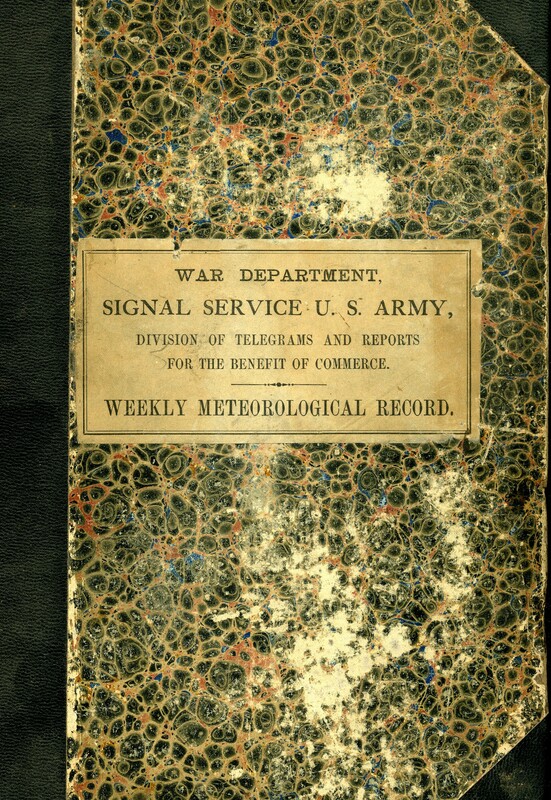 The bulk of the collection falls in the US Army Signal Service era between 1817 and the early 1890s. However, some record types carry over into the Weather Bureau era. purpose: Systematically captured climate observations from the nineteenth century extend the climate record for the United States. description: Inspection Reports from the Signal Service are also available from the Archive. description: For more information about the very similar Forts collection, please follow the link. supplementalInformation: Some data from this collection is available in a digital format. Please contact customer service for more information. description: General information and access links for the dataset. description: Search WebARTIS--collection SWSSWB--for more detail about available data in the physical archives. description: Images can be found in multiple libraries within EV2 depending on data type or station type. Libraries include: COOP, Diaries and Journals, and Forts. statement: NOAA received the data from the United States Army Signal Service and created a collection.